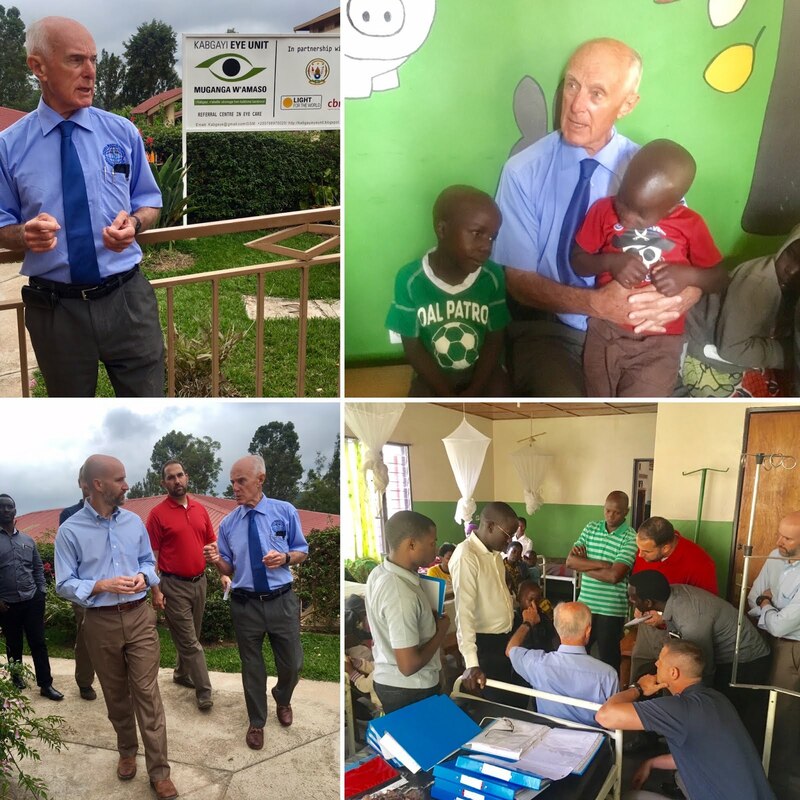 However, in Burundi in particular, it is worse: since John started the eye clinic in early 2014, he has seen between one to three children per month with this aggressive eye cancer. He has yet to see one child survive. 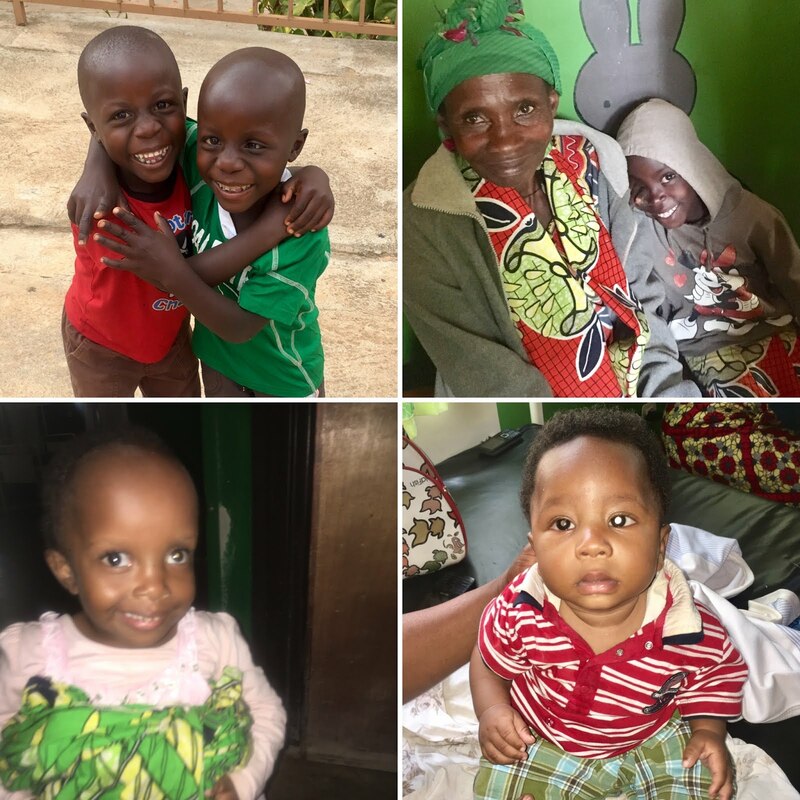 There is nowhere in Burundi for these children to receive treatment (for the affluent, there are options just across the border in Rwanda), and after watching so many die despite taking heroic surgical measures, John decided in January to initiate Burundi’s first chemotherapy program for retinoblastoma. John recruited a group of us, including Alyssa, Logan, Dr Parfait and myself, to travel to Kabgayi Hospital in Rwanda to meet and learn about the treatment of retinoblastoma from a British ophthalmologist named Dr. Keith Waddell. When I first shook hands with Dr Keith, I had the distinct impression that I was meeting the most important person I had never before heard of. He immediately memorized our names (and checked them twice) and then ushered us into a sitting room where he began to unfold the story of the years-long attritional war he had been waging with retinoblastoma in Uganda. His keen eyes, unflagging energy, and ability to remain undeterred in his telling of this history despite my numerous questions were impressive, but all of that quickly paled in comparison with what we encountered afterward in the eye unit. As we walked into the ward, many of his patients greeted him in possibly the warmest manner that I have ever witnessed—handshakes (of course), then hugs, and later even sitting in his lap and playing with him. His patients (I actually started to type “children” there) loved him, and one of the parents even referred to their child as “his” daughter. There we witnessed true love between doctor and patient. All of these patients (with perhaps one or two exceptions), had had one eye removed by him, and sometimes he’s had to remove both eyes. Many of them have had more than 6 cycles of chemotherapy that have, on each occasion, put them at a high risk for infection and death. But every four weeks, they continue to come back. Dr Keith has treated close to 500 patients with retinoblastoma, and he has documented all of their clinical courses in meticulous, working-late-into-the-night detail. He has published some of his data3,4, but as he puts it, he needs to find some additional time to finish it before he dies, which could happen at any time. He is 80 years old after all. John and I both hope to be old men like him one day (many here at Kibuye maintain that I already achieved old man status last October when I hit 40); regardless, Dr Keith is truly a remarkable person who has fully embraced his calling from God to serve the least of these. I don’t think we could have assembled and inspired our retinoblastoma team without seeing Dr Keith and his team in action. In fact, we now have five patients scheduled, nutritional status permitting, to begin chemotherapy on May 2nd. Ever since I had the privilege of spending many of my Mondays during fellowship on the Ocular Oncology service at Wills, I have wanted to be like Jerry and Carol Shields who direct it and care for retinoblastoma patients. If I hadn’t been called to Africa, I would have wanted to pursue a career in their field. Little did John Cropsey know that ordering chemo drugs one night back in January was going to lead to just the confirmation that I needed from God to stay the course here in Burundi. Maybe even as long as good old Dr Keith has. Figure 3. Dr Keith in center along with his assistants plus our team. 1. Wong JR, Tucker MA, Kleinerman RA, Devesa SS. Retinoblastoma incidence patterns in the US Surveillance, Epidemiology, and End Results program. JAMA Ophthalmol. 2014;132(4):478-483. doi:10.1001/jamaophthalmol.2013.8001. 2. Kivelä T. The epidemiological challenge of the most frequent eye cancer: retinoblastoma, an issue of birth and death. Br J Ophthalmol. 2009;93(9):1129-1131. doi:10.1136/bjo.2008.150292. 3. Waddell KM, Kagame K, Ndamira A, et al. Clinical features and survival among children with retinoblastoma in Uganda. Br J Ophthalmol. 2015;99(3):387-390. doi:10.1136/bjophthalmol-2014-305564. 4. Waddell KM, Kagame K, Ndamira A, et al. Improving survival of retinoblastoma in Uganda. Br J Ophthalmol. 2015;99(7):937-942. doi:10.1136/bjophthalmol-2014-306206. What an inspiring man Dr. Keith is! Thanks for letting us readers in on your time with him! God be with you all & give you wisdom as you begin to treat patients. Wow, what an exciting new development! French Class for Beginners - with video!